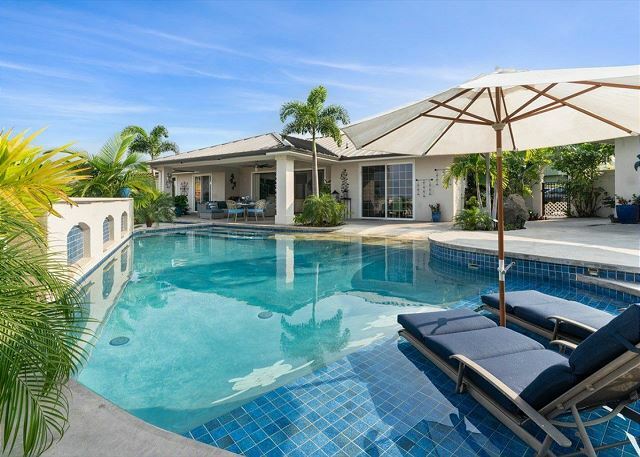 Ono Hale: Gorgeous Home with pool. Breathtaking ocean views. Direct Ocean Front Cottage where you can watch whales and surfers while relaxing on the large sunning deck, literally hanging over the oceans edge. Features two master suites and private pool, and located just 5 miles from Kailua Village. 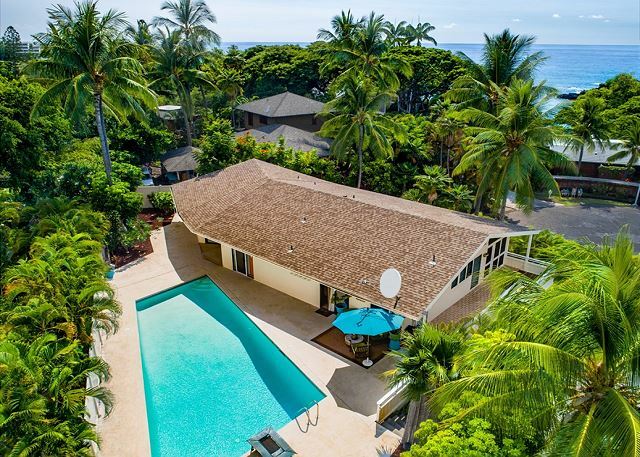 This amazing home with it's own solar heated salt water private pool is sure to be perfect for your Hawaii getaway! 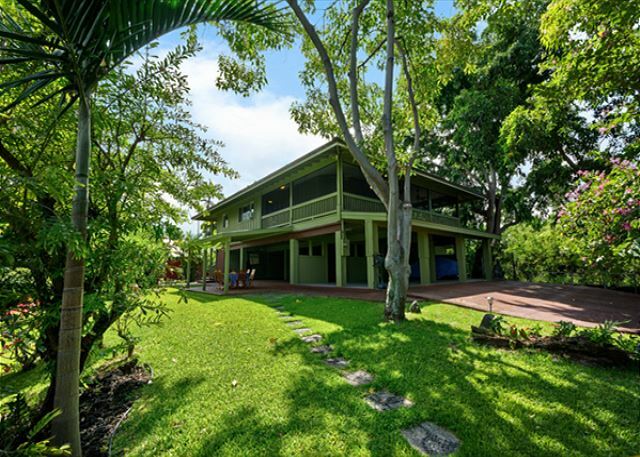 In the popular residential pocket of Kilohana, the house is just a short distance from beaches, shopping, and restaurants. 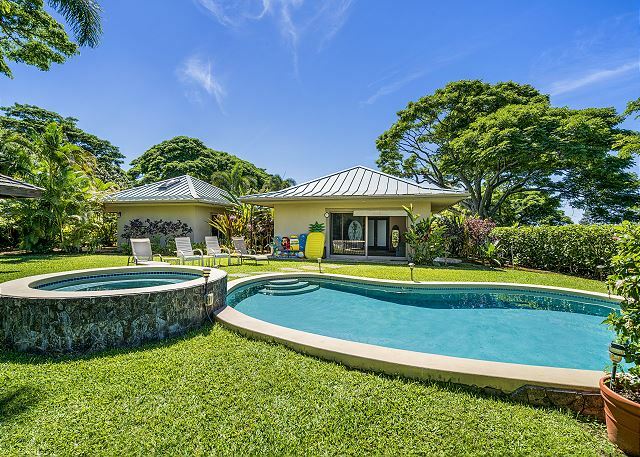 Kona Bubbles: Pristine Luxury 4 bedroom Home with Amazing Pool & Oceanviews! Luxury Villa Estate with Pool, Hottub & Oceanview! This beautiful luxurious, Villa Estate has absolutely anything a large party could ask for. Look no further to have the perfect Hawaiian Vacation in an extremely private, gated community. Property Owner Needs to Approve All Reservation Requests. 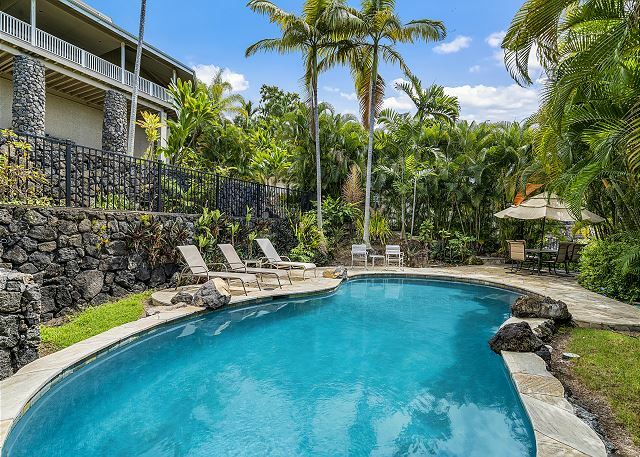 Hale Lani-Private Majestic Gated Property w/Resort Size Pool! Sleep 14! AC!! Hale Lani-"Heavenly" Hale is the absolute perfect place for Vacation. 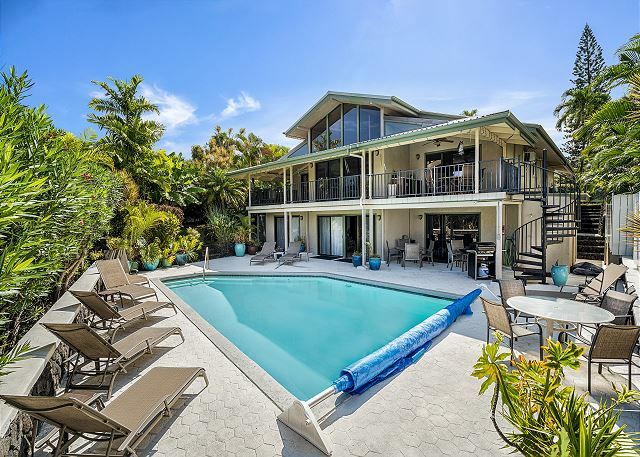 Amazing ocean views, massive pool & entertaining areas?! You've found the perfect spot. Gorgeous, VERY private, gated house available for Vacation Rental, at an excellant price. House is located in Kealakekua, very close to the Bay. This gated house is also in a gated community. 3 bedrooms total, 4 bathrooms! Koana Breeze-Breathtaking Sunset & Ocean Views, Hot Tub Living at its finest! Beautiful Brand New Vacation Rental as of July 2018! Plantation Styled Home with amazing breezes allowing true comfort in Hawaii's heat. BOOK DIRECT FOR THE BEST RATE AVAILABLE!